One of my favorite holiday traditions has always been going to one of the big department stores like Macy’s, Nordstrom, or Dillard’s, and getting one of those big holiday gift sets. You know the ones. The purchase with purchase ones that had like 35 eye shadows and 19 lipsticks in there? Yeah…You usually have to buy a fragrance to purchase one of these sets, so every year, I’d try a new scent and get one of these massive kits. Sounds like a win-win, right? Getting a new fragrance is still one of my favorite holiday traditions. These scents are some of my suggestions for this year. 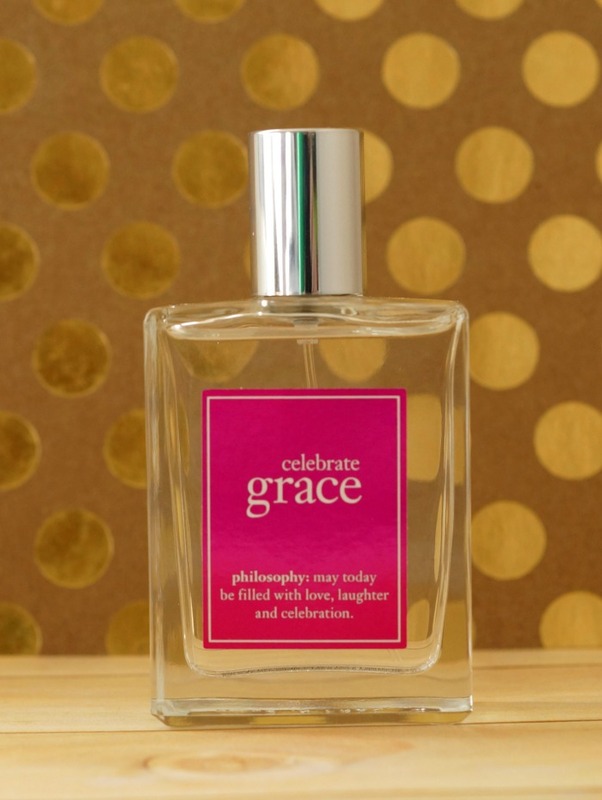 celebrate grace is the newest release from Philosophy. It’s a creamy, floral musk scent. While the scent is floral, it’s not super bloomy. While notes of lavender, water lily, and freesia elevate the scent, the clean musk and sandalwood help to ground it. White rose, peony, and lily help round it out. celebrate grace is a scent that will grow on you. $46, at QVC. This set is for the person that wants a new fragrance, but can’t make up their mind. Does that sound like anyone you know? *looks around* Oh, wait, yeah. That would be ME! Anyway, the Sephora Favorites Perfume Sampler has 12 deluxe spray samples, so you really have the opportunity to test these scents out. Once you’ve made your decision, you can exchange the voucher for a full sized bottle of one of the 12 scents included. These aren’t mediocre scents, either. The sampler includes fragrances from brands like Burberry, Chloe, Elizabeth and James, Marc Jacobs, Tom Ford, and others. $60 at Sephora. This is an amazing fragrance gift, and they also have a collection for the guys. 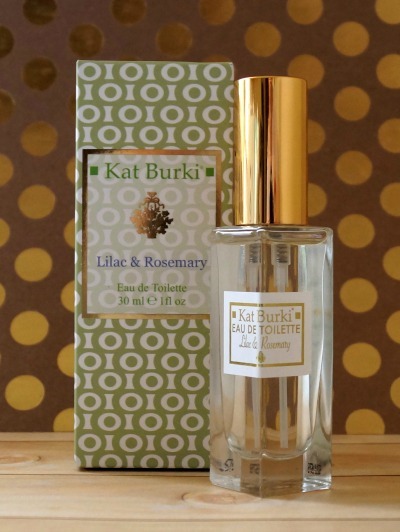 Kat Burki is a luxe natural beauty line that may be new to you. The products use natural ingredient like oils that are cold pressed. The Eau de Toilette fragrances are no different. They’re light and airy, yet long lasting and rich. White Orchid and Poppy is a Floral Woody Musk, with notes of orange, peach, lavender, lily, sandalwood, and vanilla, among others. The Kat Burki White Orchid and Poppy Eau de Toilette fragrances are available direct, or at stores like Nordstrom. 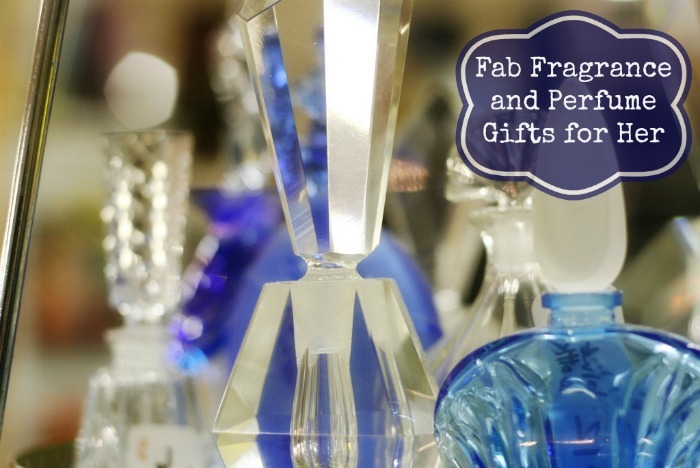 These are fantastic, and would make anyone happy to get this fragrance gift. Ahh….Katy Perry. What is there to say about her? Always pushing boundaries with her music and insane wardrobe and costumes. While hers are a little more on the kitschy side, compared to say, Lady Gaga, they’re both trendsetters. Killer Queen is a sweet, berry-filled fragrance. With notes of plums and berries, praline, patchouli, plumeria, and jasmine, it’s quite complex. 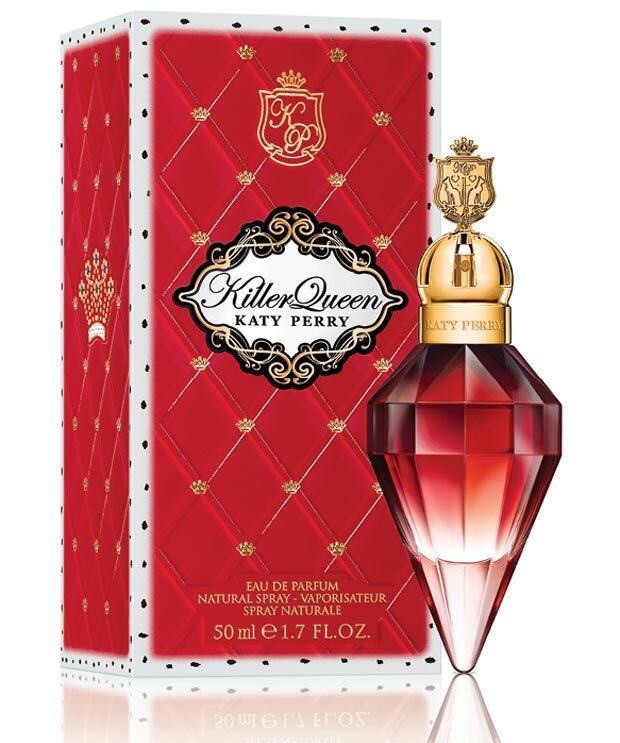 Killer Queen has been referred to, many times, as a lighter version of Flowerbomb. The bottle, shaped like a red ruby, is pretty cool, too. 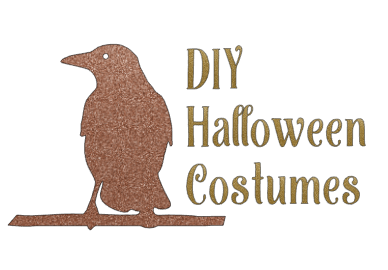 Available at department stores like Kohl’s and Macy’s, as well as mass retailers like Target and Walgreens. This one has been out for a while but still makes a great fragrance gift. 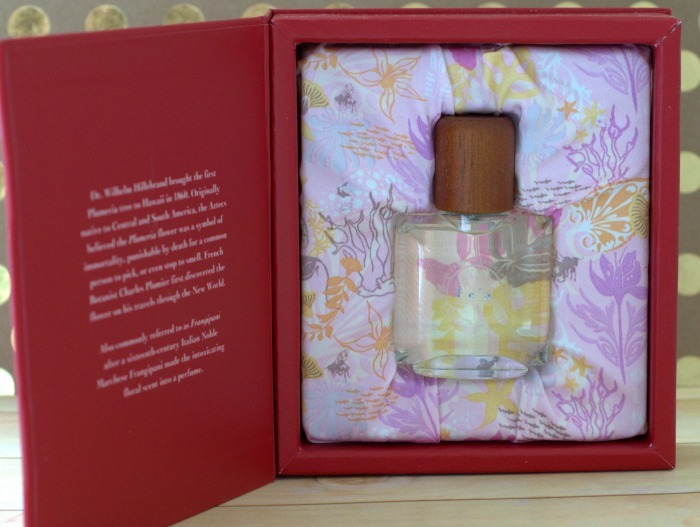 Last, but not least for fragrance gift giving is another Kat Burki fragrance. Like its sister scent, Lilac and Rosemary comes from a great, natural line. Where White Orchid and Poppy is a musk, Lilac and Rosemary is a floral green fragrance. Personally, I like this one a bit better, mainly because I love the green smells like fresh cut grass and lilac. Both scents are fantastic, and both are deserving of a spot in your perfume collection. 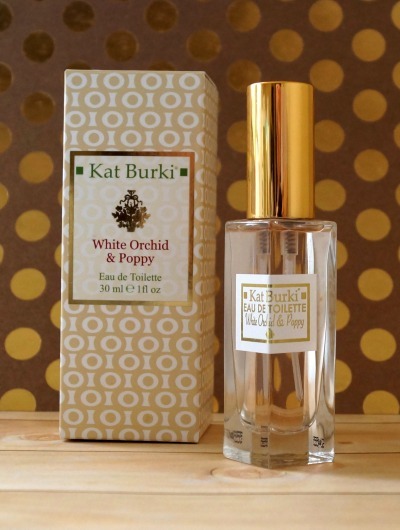 The Kat Burki White Orchid and Poppy Eau de Toilette fragrances are available direct, or at stores like Nordstrom. What are some of your favorite fragrance gifts for giving this year? editorial samples may have been received.